The Custom Lynx High Quality XLR to XLR Microphone Cable, 3m is a premium-grade microphone cable designed for live and studio use The Custom Lynx Microphone Cable is ideal for a variety of applications including connecting mics, patching and more. The cable is stereo balanced using high-grade connectors to deliver high-quality sound reproduction. It uses all-metal casings for optimal durability, easily withstanding day to day use. The connections it provides is 3-pin Male to 3-pin Female XLR. The premium-grade design and high-quality components make it one of the most robust mic cables available. 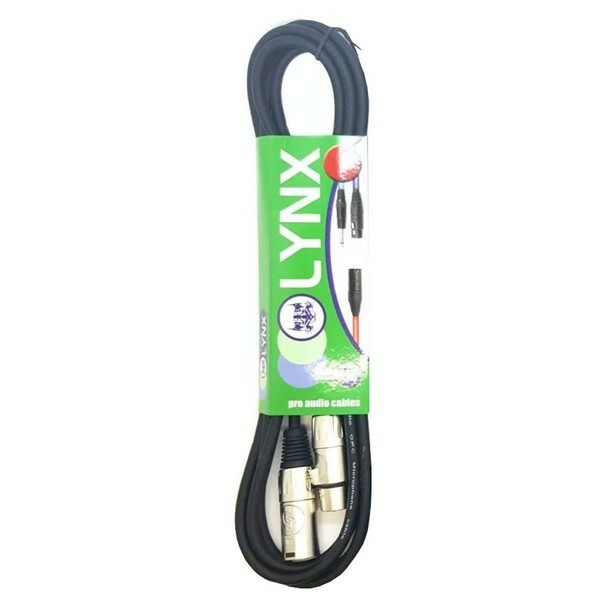 Custom Lynx are so confident in the build quality of these cables that they come with a Lifetime Guarantee.